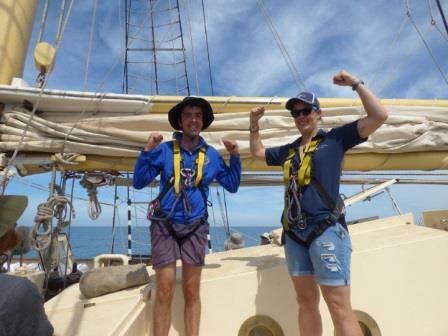 The Leeuwin Ocean Adventure Foundation is a not-for-profit organisation based in Fremantle. An award-winning provider of experiential learning and leadership development programmes, the Leeuwin Board was looking to develop their risk management framework and register to support the organisation at a strategic level. Swan City Youth Service (SCYS) aims to provide a one-stop-shop for young people aged 12 – 25. They provide a range of programs including recreational, educational, life skills based and music / arts programs and they were keen to develop a way to better demonstrate the success of those programs. Autism West Support Inc is an NFP that provides a range of services to people who are affected by Autism. They aim to provide families with the practical and emotional support and tools they need to help their child reach their full potential and integrate effectively within their community. Given their wide range of members, donors and supporters, Autism West needed a central system to store their records. Armadale Gosnells Landcare Group (AGLG) is an independent incorporated coordinate’s Landcare planning, community action and awareness programs within the City of Armadale and City of Gosnells area. The AGLG aim to help the community to connect with their environment, by involving local residents and schools in restoration activities and raise awareness of the value of local river and bushland reserves though community meetings, workshops, expos, school activities and expos.